The Orphan Project started in 2008 when RUDEC realized that there were many orphans on the street with little education and even less financial support. As with many rural Cameroonian areas, Belo suffers from a large number of orphaned children whose parents have died prematurely due to illnesses such as malaria, TB and HIV/AIDS. In addition, many children do not have full support of parents who suffer from disabilities or mental illness. 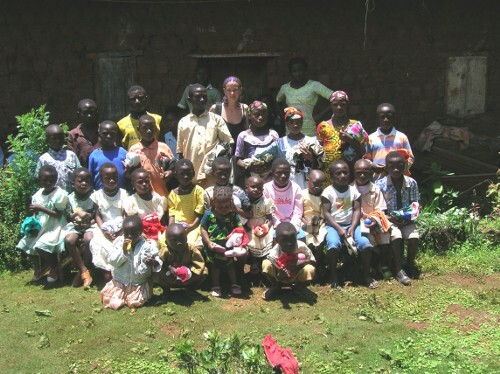 According to local Kom tradition, these children are cared for by relatives, who often cannot afford to meet their educational and health care needs. As their guardians are often elderly gransparent who survive by subsistence farming; their ability to support these children is negligible. The aim of the program is to give children a basic level of support throughout whichever educational route they choose. This can be traditional school, vocational training, or an apprenticeship. This most aptly enables them to reach their personal aspirations. When a child is supported through an apprenticeship to learn a trade they will be able to reciprocate and pass on their skills to other children in the program. Children graduate from the program when they leave full-time education with some basic start up tools.